Find out if Pets in a Pickle makes it into our list of the best pet insurance for dogs or the best pet insurance for cats. What types of pet insurance does Pets in a Pickle offer? Does Pets in a Pickle pet insurance cover dental treatment? Does Pets in a Pickle pet insurance cover pre-existing medical conditions? Are there any exclusions to Pets in a Pickle pet insurance? How much does pet insurance from Pets in a Pickle cost? Are discounts available for Pets in a Pickle pet insurance? Pets in a Pickle's most comprehensive pet insurance policy is a Lifetime policy. It offers £8,500 vet fees cover per year, death from illness and accident cover of £1,500, liability cover of £1m, loss by theft or straying cover of £1,500, holiday cancellation cover of £1,500, and cover for travelling overseas with your pet for up to 180 days. This policy is also a Lifetime policy, offering £5,000 vet fees cover per year, death from illness or accident cover of £1,250, liability cover of 1m, loss by theft or straying cover of £1,250, holiday cancellation cover of £1,250, and overseas travel cover of up to 90 days. Pets in a Pickle's last Lifetime pet insurance policy offers £3,000 vet fees cover, death from illness or accident cover of £800, £1m liability cover, loss by theft or straying cover of £800, holiday cancellation cover of £800, and cover for travelling abroad for up to 30 days. Pets in a Pickle's only Time Limited cover provides £2,500 of vet fees cover, death from illness or accident cover of £650, third party liability of £1m, loss by theft or straying cover of £650, holiday cancellation of £650, and overseas travel for up to 30 days. The company's Accident Only policy actually covers a little more than just accidents. It provides vet fees cover of £2,000 for accidents (but none if your pet becomes ill), cover for death due to accidents of £500, third party liability of £1m, loss by theft or staying cover of £500, holiday cancellation cover of £500, and overseas travel cover for up to 30 days. 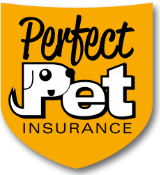 All Pets in a Pickle pet insurance policies provide cover for emergency expenses if you are abroad of £150, cover for quarantining if your pet becomes ill abroad of £150, and £250 cover for a lost pet passport. See if these cover levels place Pets in a Pickle in our list of the best pet insurance for dogs or the best pet insurance for cats. For more information on the different types of pet insurance policy, check out our pet insurance FAQs. Dental treatment is covered by Pets in a Pickle if it is needed as the result of an accident. Any dental costs due to illness are not covered. Bought By Many's Complete pet insurance policy can provide dental cover recommended by a vet. Join our pet insurance group for more information, or check out our list of 5 pet insurance companies offering dental dental cover for dogs and cats. Pets in a Pickle cannot cover any pre-existing conditions your dog or cat may suffer from. The company defines this as any condition that has existed or occurred in any form before you take out the policy. If you decide to take out a policy anyway, you will still be able to get pet insurance from Pets in a Pickle, but anything that arises as a result of a previous illness will not be covered. Bought By Many has a unique pet insurance product that can cover pre-existing conditions. For more information on this, check out our pet insurance for pre-existing conditions group. 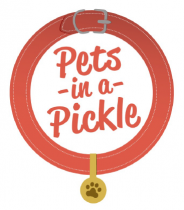 Are there any other exclusions to Pets in a Pickle pet insurance? Your cat or dog must be eight weeks old before Pets in a Pickle will cover them. However, there is no upper age limit apart from on death from illness cover, the age limits for which are six years for a dog and eight years for a cat. You also won't be covered for anything that happens to your pet within the first 14 days of taking out the policy, and you won't be covered for third party liability if you take your pet to your workplace. Check out our article on dogs in the office and pet work benefits for more information on taking your pooch to work. The company also cannot cover any dogs used for working, trade, profession or business. It won't be able to cover you for preventative or elective treatments, or for any routine examinations. It also doesn't cover any of the breeds listed on the Dangerous Dogs Act 1991. Make sure you check your policy documents thoroughly when you take out a pet insurance policy so you know exactly what you're covered for. Pets in a Pickle also requires you to agree to a set of assumptions before you get a quote. Make sure to read them through and agree. It can be difficult to predict the exact price of a pet insurance premium as a number of factors go into calculating the cost, including your pet's breed, its age, and where you live. For this reason, it's usually easier to simply get a quote. For more information on this, check out our articles on the cost of dog insurance and the cost of cat insurance. The excess on all of Pets in a Pickle's policies is £85 per condition per year. There is also a mandatory 10% co-payment for pets over the age of six, meaning you have to pay 10% of any claim after the excess is deducted. You can also choose to pay a voluntary excess of up to £125. This can bring down the price of your monthly premium, but remember that if you do have to claim you'll have to pay this, so make sure it's affordable for you. We looked far and wide and couldn't find any discounts online for Pets in a Pickle pet insurance. Unfortunately, we couldn't find any customer reviews of Pets in a Pickle pet insurance on the internet. This is probably because Pets in a Pickle is a relatively new insurance company. We couldn't find any expert reviews of Pets in a Pickle from any independent financial reviewers. If you need to make a claim on Pets in a Pickle pet insurance, you'll need to call the company's claims line on 0330 126 0002. You'll need to have given your vet a claims form to complete, as well as completing your own part of the form. You can also email the company at customerqueries@ultimateservices.co.uk. Find out more information about Bought By Many's pet insurance by joining our pet insurance group.